Indonesia is by far the largest country in Southeast Asia and the fourth most populous in the world. It is also the world’s largest Muslim majority nation, a land of incredible diversity and unending paradoxes with a rich history stretching back thousands of years. A Brief History of Indonesia takes the reader from the Hindu-Buddhist years in Java, to the arrival of Islam in the Archipelago, to the Second World War, and then the post war New Order years, right up to the separation of East Timor from Indonesia at the start of the this century. It is a narrative of kings, traders, missionaries, soldiers and revolutionaries, featuring stormy sea crossings, fiery volcanoes, and the occasional tiger! I was eighteen years old when I first discovered the genre known as narrative history. It came in the form of two books: The Gilgit Game, and When Men and Mountains Meet, by the British author John Keay. They were accounts of 19th-century European exploration in the great mountain tangle of what is now northern Pakistan. They were non-fiction, but they were nothing like the history textbooks I half-remembered from school. They were filled with a sense of place, pace and character. They were as good as any novel. Soon I discovered other writers of narrative history. Peter Hopkirk’s masterpiece, The Great Game, was a tale on a Tolstoyan scale, grand narrative meets ripping yarn in the vast spaces of Central Asia. Elsewhere, I found accounts of the Indian independence struggle by Dominique Lapierre and Larry Collins, by Patrick French, and by Alex von Tunzelmann. All took the same hard facts, and then made something new of them. The first was like an airport thriller, complete with hero and villain; the second found comedy and controversy; and the last was a veritable bodice-ripper. My library of narrative history kept growing: Giles Milton on spice traders and white slavers; Simon Winchester on a mighty volcano; William Dalrymple on the follies of the British Raj. I was hooked, and if I had once dreamed of being a novelist, I now knew that what I really wanted to write was narrative history. The term creative non-fiction is one you often hear these days. For many people it mainly means the genres such as memoir that rest on a first-person narrative. But for me it is the telling of history in narrative form that offers the greatest chance to deploy character, tension, pace and the other techniques of fiction in a purely non-fictional setting. A narrative history writer may want to inform his readers; he might even want to reveal new findings and make original arguments. But his first duty is to create a good read – and at times that can be a serious challenge, as I discovered when I set out to write A Brief History of Indonesia. 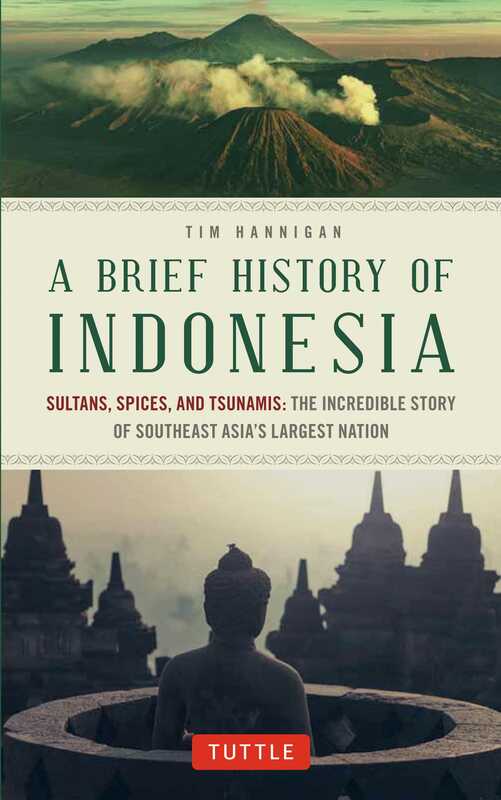 My first book had tackled two years in the life of a Victorian explorer; my second book dealt with the five-year British interregnum in Java; but now I was going to try to cover the entire gamut of Indonesia’s past, from the murky depths of prehistory to the present day - and to do it in less than 90,000 words - a brief history has to be brief, after all! Where previously I could spin chapter-long set-pieces out of individual battles, now I was faced with a vast array of characters and incidents, all clamouring to get aboard a very small boat. As I was writing, I had to turn away from the heavy source materials from time to time, and to dip into the wonderful books by the likes of John Keay and Peter Hopkirk that had first inspired me. It was the only way to keep sight of what narrative history should be. I got there in the end, and I managed to cram in a good few of the clamouring characters and colourful incidents - from Moroccan globetrotters to philandering presidents, and from encounters with Hobbit-sized hominids to devastating tsunamis - while also, I hope, keeping the grand narrative of Indonesian history in focus.